Beautiful older home on 7th avenue. Lady walks her dog in Congress Park. Garage door painted with the Union Jack. Funny painted wall at neighborhood Greek restaurant. The old firehouse converted to condos. Shops and restuarants in Congress Park. Wild Flowers store on 12th Avenue. Funny sign at pharmacy says "our pharmacists are better looking than yours"
Congress Park is a neighborhood with a sense of humor. There are little things, you see it in the signs of nearby restaurants and shops, you see it on a painted garage. When I think of Congress park, I think of your basic bungalow house. However there are plenty of charming timeless homes along 7th Avenue and of course the Denver Square. 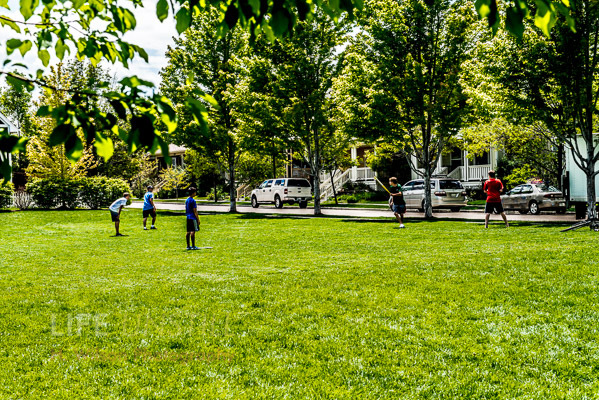 A neighborhood that is friendly to walkers, runners, and bikers, it also has the nearby Botanic Gardens and of course the Congress Park - the park, home to one of Denver's few outdoor public pools and massive soccer fields. I've always enjoyed the park's mulberry tress but due to a late frost, they sadly didn't bear fruit this year. What makes an area a "neighborhood"? There are borders defined by the city. There are signs we can point to. We can see with our own eyes as we drive around subtle differences in architecture, in age or grandiosity of the homes. Recently I have been working on a photography project trying to capture the uniqueness of different neighborhoods. It really got me thinking about how I can characterize a space in photos to say what makes this area special, what makes it a neighborhood, not just the boundary streets but the innate character of the space. 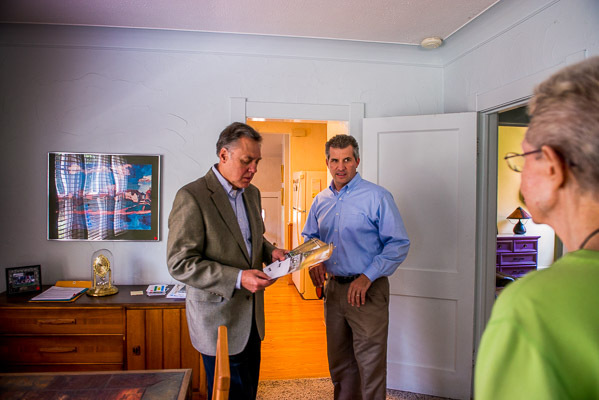 The Stapleton neighborhood is characterized by smaller sub-neighborhoods that are there by design. Blocks come together with a small park at the center or wide greenbelt that is designed for gatherings of kids or families, for play and outdoor life. Woman walking her dog down the street in Stapleton. Kids bike at a small playground in Stapleton. Not many of the streets go all the way through to a main thoroughfare so it makes the driving slower, a bit more of a lazy feel. Stapleton neighborhood street with greenbelt. The houses are all relatively new but have a more old-time feel with porches and green trees. There is easy access to bike paths and plenty of areas for gathering. Stapleton neighborhood with old fashioned style houses and porches. 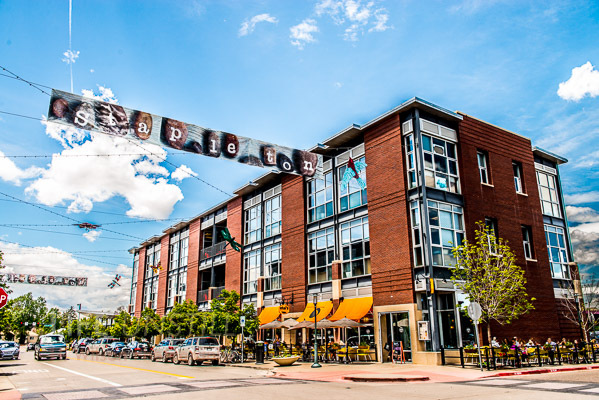 Stapleton has it's own town center with restaurants, coffee, yoga, bikes, and retail in easy walking distance from the homes. There's a big town park that hosts concerts, outdoor movies, exercise classes, art fairs, and a farmer's market. Stapleton off leash dog park. 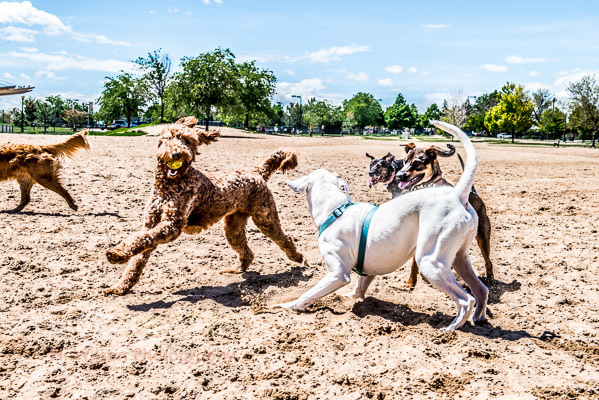 Dogs playing off leash in the neighborhood dog park in Stapleton. 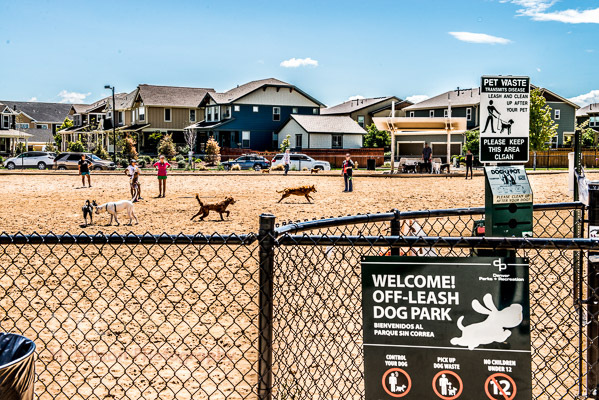 The area features a public Rec Center, tennis courts and an off-leash dog park. Nearby is Central Park with a fabulous playground, ball fields, and plenty of walkable and bikeable trails. Sand Creek Park view to the East. 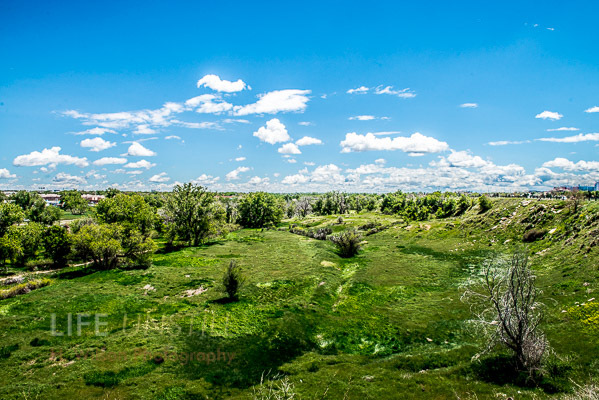 Just east is Sand Creek Preserve, an amazing resource right here in town with 14 miles of biking/walking trails in a gorgeous wilderness preserve. 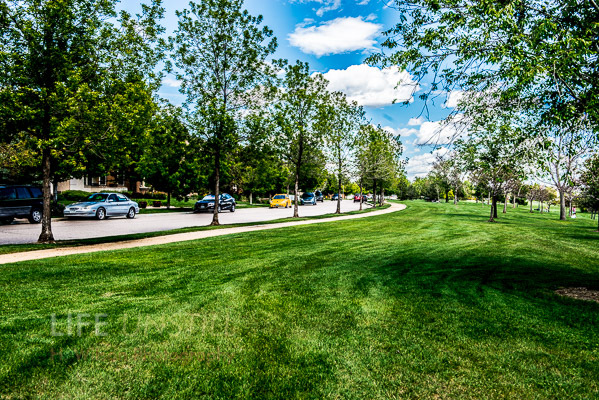 The Stapleton area isn't full of mansions, although there are some generous lots, but it feels like it's about creating a community, people who enjoy outdoor lifestyle, family, and kids.